I’m back tonight with another card. 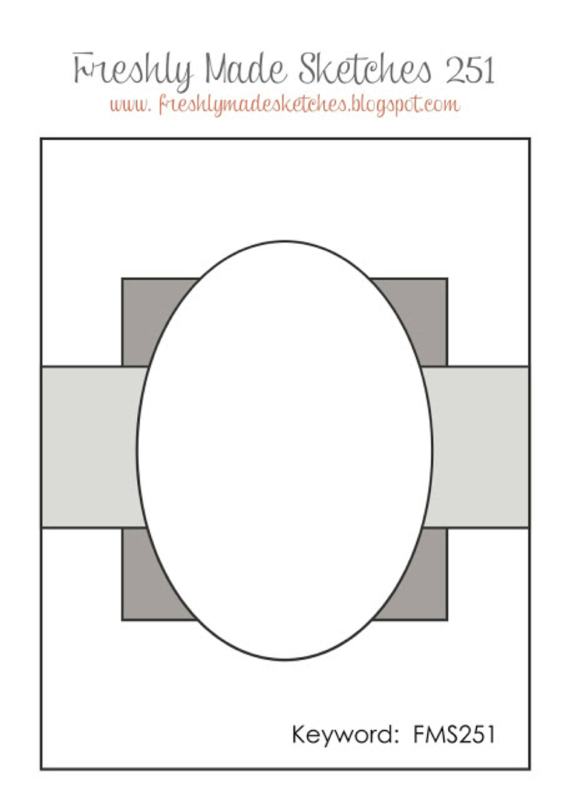 This time I’ve created a card for the newest sketch at Freshly Made Sketches. 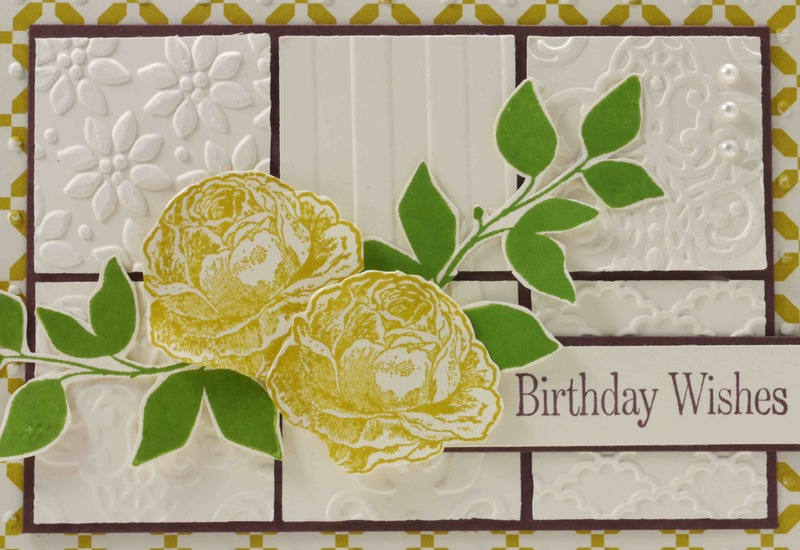 Our sketch has been designed by Linda Callahan – a talented card creator who creates the most gorgeous and witty cards. 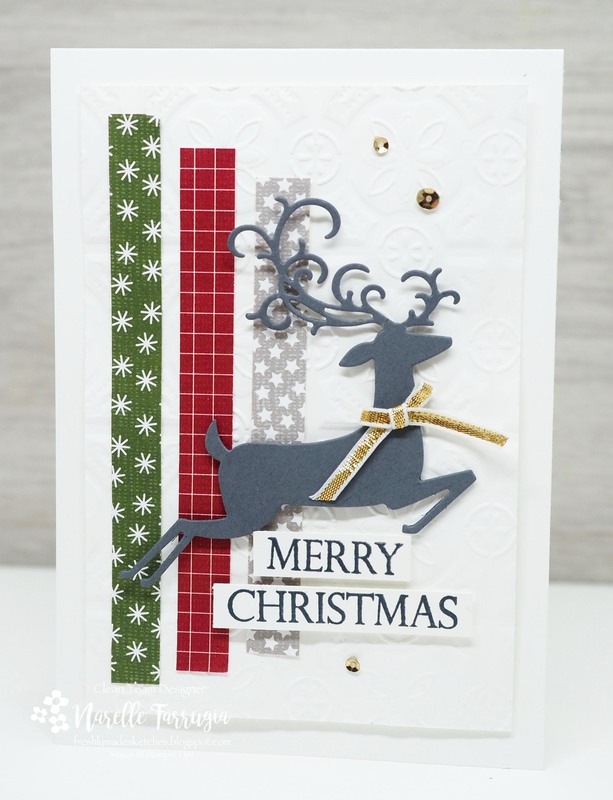 Christmas cards seem to be my thing at the moment – probably because of the new products I received in my last Stampin’ Up! order. I was thinking I might make a series of these cards for my Christmas class. 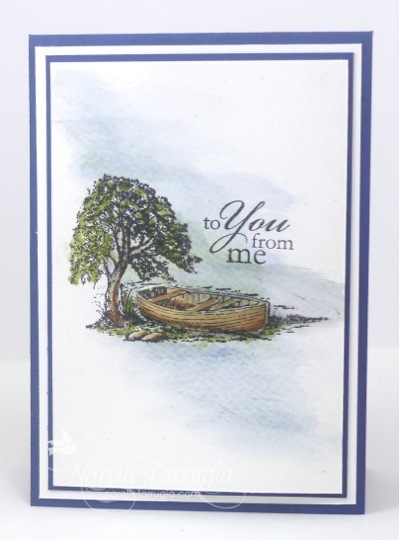 So quick and easy to put together and the only stamping is the sentiment. The stamp set the sentiment is from is called Merry Christmas To All. I ran my deer die, from Detailed Deer Thinlits Dies, through my bigshot and then raised is up with Dimensionals. 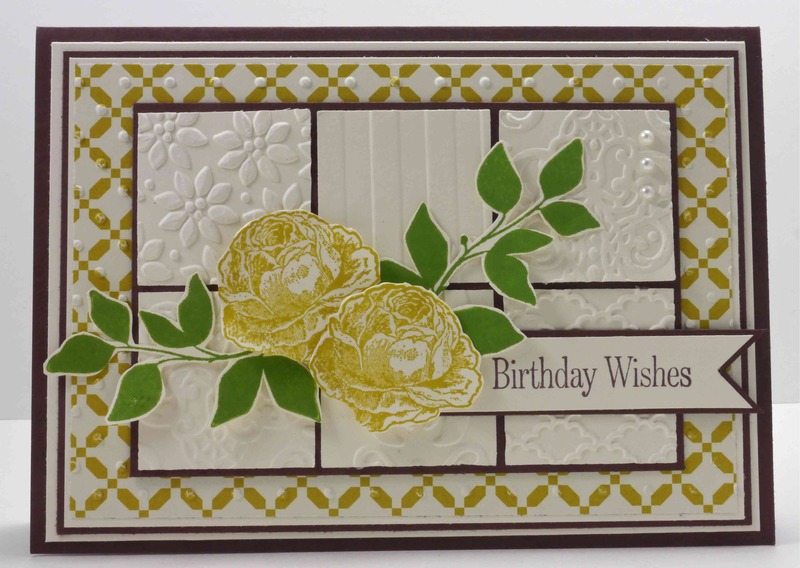 The background is embossed with my Tin Tiled Dynamic Textured Embossing Folder. The strips of designer series paper are from Festive Farmhouse Designer Series Paper. The thin strips and the embossed background give me the fullness I like to my cards. I then added some gold sequins and a bow made with thin Gold Ribbon to my deer. 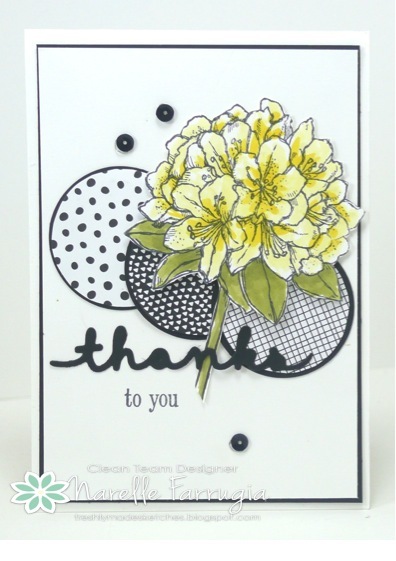 I love the cards the Clean Team have created with Linda’s sketch. Head over to Freshly Made Sketches and take a look. It’s time for a new sketch at Freshly Made Sketches. Our hostess is the fabulously talented and very sweet Cindy Hall. Here’s her great sketch that I love because it has layers!!! As always the team will inspire you with their cards. Head over to Freshly Made Sketches and check them out. The Clean Team have provided wonderful inspiration for you so head over to Freshly Made Sketches and take a look. Whenever I need a little inspiration to create a card, I find a a great sketch as my starting point. 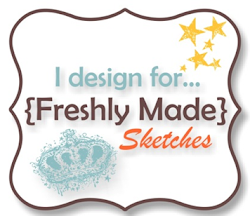 Like this weeks fabulous sketch at Freshly Made Sketches that’s been designed by the talented Kim Singhdahlsen. This one’s a keeper for sure! I created this card for one of the girls at work who is retiring after being with us pretty much forever. I love it when a card comes together with ease. I was able to bang this one out in less than 1/2 an hour (that’s pretty good for me!). 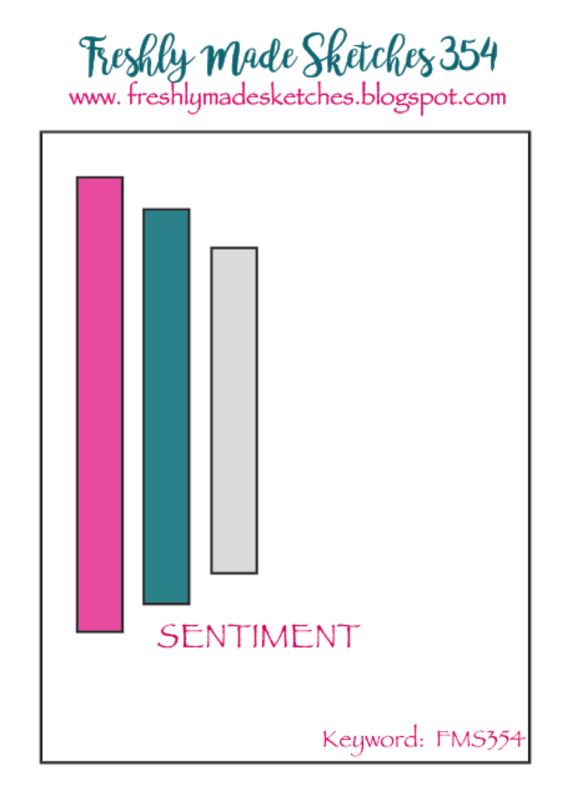 The image and sentiment I’ve used are from Stampin’ Up! Hostess sets called Best Thoughts and Happy Birthday Everyone. The “Thanks” sentiment is made with a die from Greetings Thinlits. 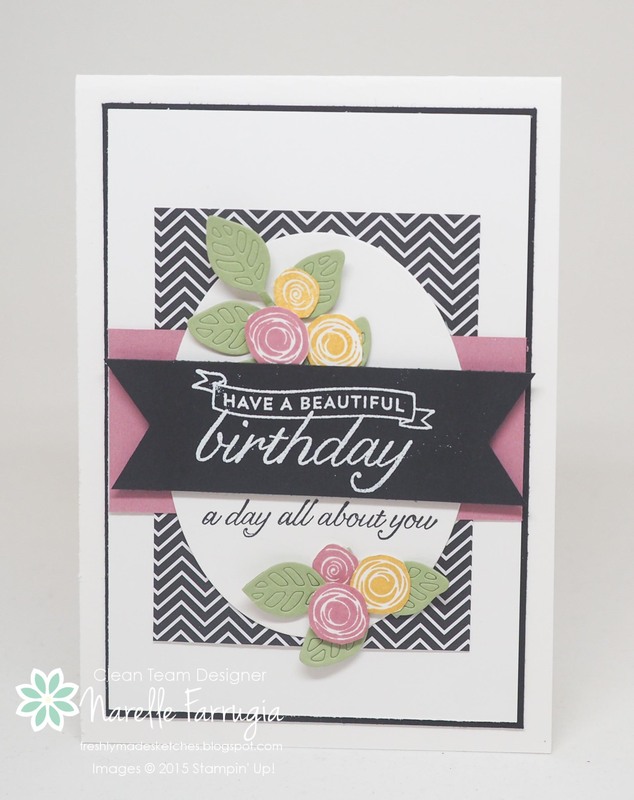 The designer series papers are from Everyday Chic DSP. 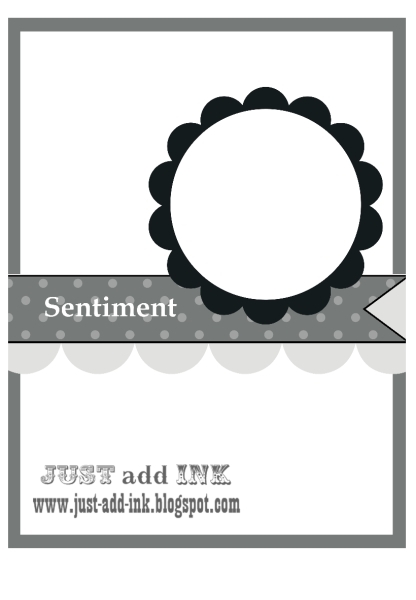 I think I have every Black & White/Cream DSP pack that Stampin’ Up! has made! The team has (as always) created wonderful cards to inspire you – head over to Freshly Made Sketches and check them out. 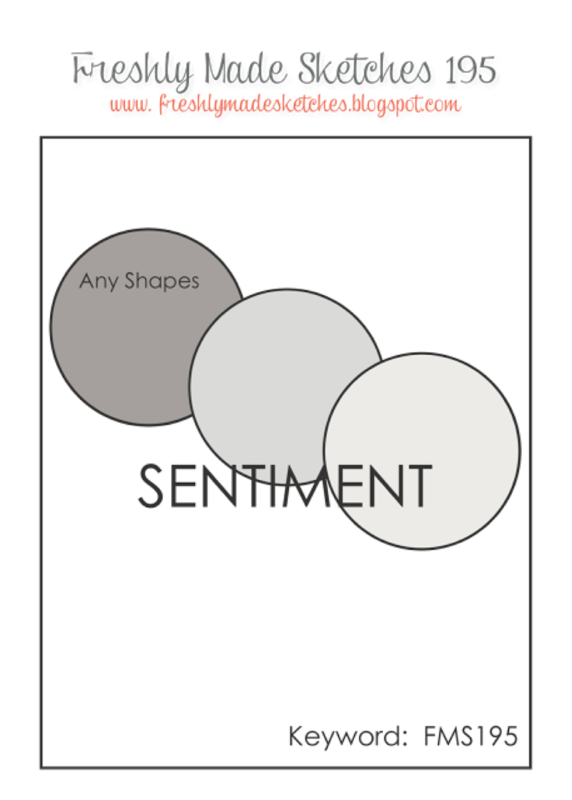 The card I created today is different than I normally make. It has a bit of watercolouring (something I don’t do very often) and not many layers (something I do less often than watercolouring!). 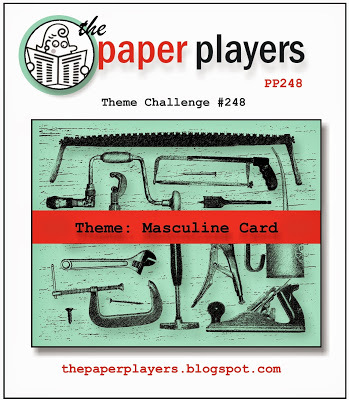 I’m entering my card into three challenges – The Paper Players Masculine Themed Challenge, TGIF Watercolouring Challenge and Pretty Pink Posh’s Watercolour Blog Hop. The Design Team have created gorgeous cards with Paula’s sketch – head over to the challenge and take a look. We’d love you to play along too! I’ve had a productive card making day today, oh and I cleaned the house as well. I know which one I prefer to be doing! Don’t you just love it when you actually feel like you’ve accomplished something? 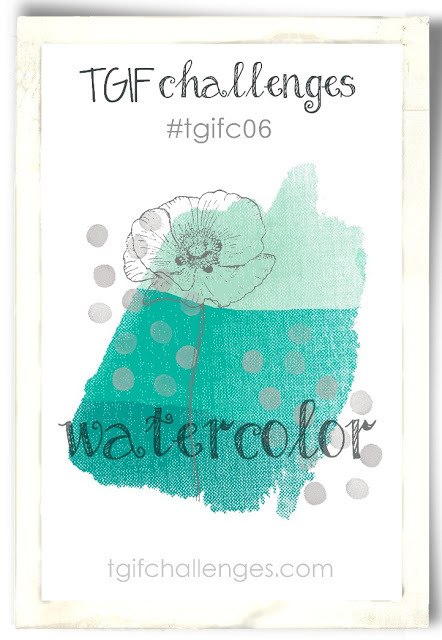 The Design Team at Create with Connie & Mary have a colour challenge this week. I have to admit these colours threw me as they are not normally colours I would put together. 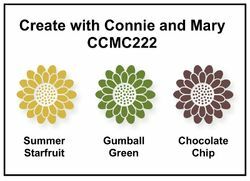 Summer Starfruit is a colour I’ve used a bit lately, but teaming it with Chocolate Chip and Gumball Green had me thinking…. I’ve teamed the colour challenge with the challenge at SU Only Challenges where their challenge is to create a project using texture. This I was able to do. And a close up of the main panel so you can see the texture I added to each square by embossing them each with a different embossing folder.